I have a short, busy week ahead, so I thought I would kick it off with a custom piece I recently completed and delivered. 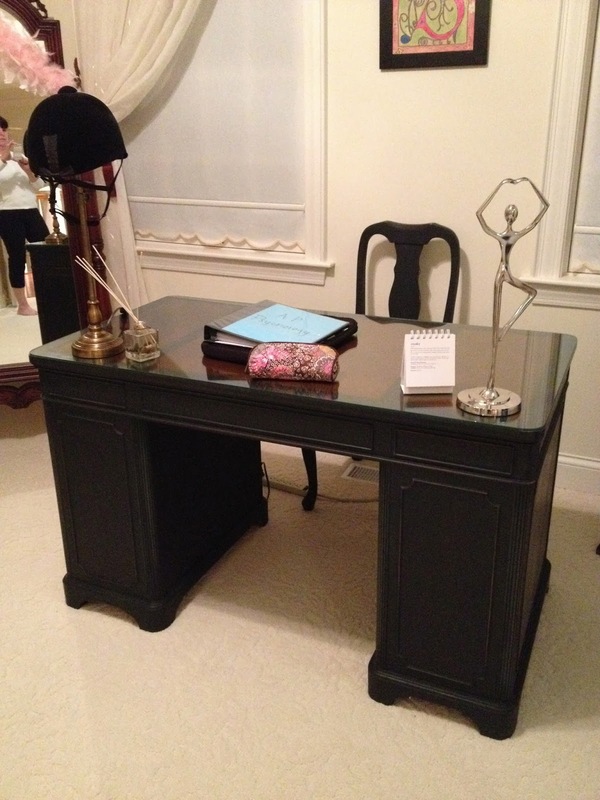 This desk and chair were in the family and were passed on to their high school daughter. It was too traditional for this hip gal. So we needed to remedy that. The desk was in pristine condition, solid and sturdy. I rarely have the luxury of working on such a nice piece of furniture. We simply opened Wrought Iron by Maison Blanche to restyle this beauty. The top leather was beautiful. We taped if off and painted the wood strips. The detail was lost when the paint was applied. To remedy that, we distressed in the key spots. Just the little distressing made the trim come to life. Then we finished it with Maison Blanche clear wax. 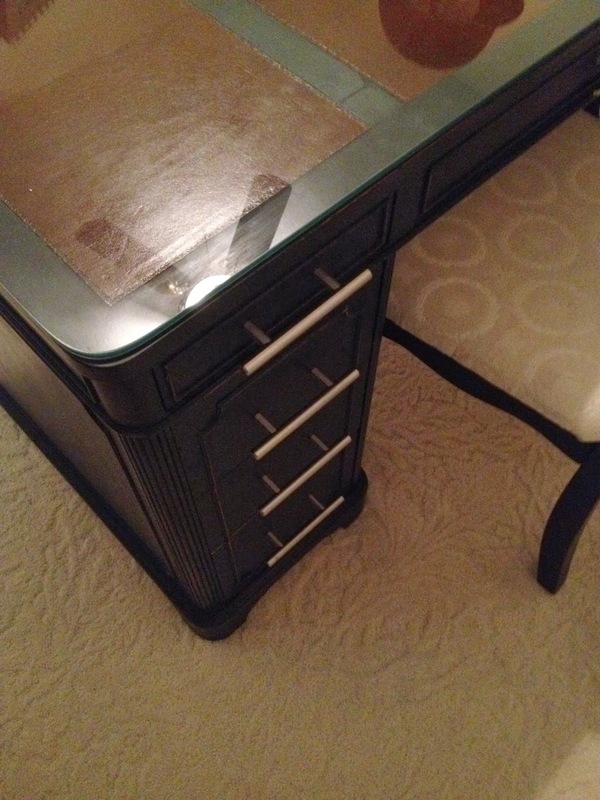 The client selected the hardware and reapplied the glass to the top of the desk. Here she is in her home. The chair was finished the same way. Perfect for its new life. The desk & chair turned out wonderful !!! I am sure she is one happy girl with her new desk ! !